As technology continues to advance, the supply of older product is reduced. Yesterday’s newest improvement can quickly become obsolete, causing your facility to fall behind optimal speed and efficiency. Replacing obsolete parts with like product, assuming it is still produced, often results in long lead times, higher cost, and declining service and support levels. CBT’s LifeCycle Services can assist you with identifying your risks and developing a seamless and effective plan to keep operations running while you move to the latest technology. Managing the lifecycle of your automation equipment can be a daunting task. The Rapid advancements in new technologies have made this task, even more, challenging over the past few years. 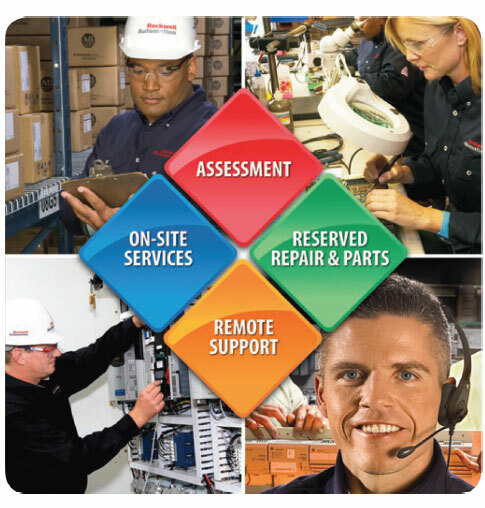 CBT and Rockwell Automation Lifecycle Extension & Modernizations can help you identify, mitigate, and eliminate these lifecycle challenges. Do you know the risks of your facility? What is your plan for risk mitigation? CBT provides the knowledge needed to help you make informed decisions regarding the support and obsolescence management of your installed base assets. CBT will ensure you have all you need to identify your facility’s risks and plan a safe and suitable path for the future including inventory analysis, environmental conditions, and component lifecycle classifications. CBT’s LifeCycle Services can assist you with identifying your risks and developing a seamless and effective plan to keep operations running while you move to the latest technology.